Proceedings of the Polar Law Symposiums are published in the Yearbooks of Polar Law by Brill Publishing house. The Yearbook of Polar Law, is based at the Faculty of Social Sciences and Law at the University of Akureyri in Iceland and the Northern Institute for Environmental and Minority Law (Arctic Centre/University of Lapland) in Finland and covers a wide variety of topics relating to the Arctic and the Antarctic. The Polar Law Textbook focuses on the various developments in international and domestic law concerning the Polar Regions (e.g., issues of environmental law, law of the sea, resources, human rights law and Indigenous peoples' rights, etc.). By looking at linkages between different areas of law and the other social sciences, the textbook also explores the relevant aspects of the economic, social and political developments affecting both Polar areas (e.g., questions of Polar governance, economics, and the political situation in some of the Arctic areas. An overview of Polar law questions and topical developments was provided in the pioneering 2010 Polar Law Textbook and in the 2013 Polar Law Textbook II both of which covered a number of topics relevant to the Polar resources debate. 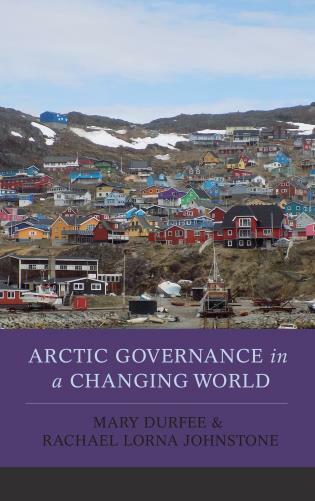 Building on this work, Polar Law and Resources, this new volume focuses on topical issues of law and resource development in the Polar Regions, both the Arctic and the Antarctic, and covers topics of current and emergent resource-related issues mainly from a legal and political perspective. Studies in Polar Law publishes monographs and collected works devoted to the legal regimes applicable to the Arctic and the Antarctic. It explores the problems faced by these regions and the solutions proposed on multiple issues. This comprehensive text explains the relationship between the Arctic and the wider world through the lenses of international relations, international law, and political economy. It is an essential resource for any student or scholar seeking a clear and succinct account of a region of ever-growing importance to the international community. Offshore Oil and Gas Development in the Arctic under International Law: Risk and Responsibility explores the international legal framework for hydrocarbon development in the marine Arctic. It presents an assessment of the careful balance between States’ sovereign rights to their resources, their obligations to uphold the rights of Arctic inhabitants and their duty to prevent injury to other States. The New Arctic highlights how, and in what parts, the natural and political system is being transformed. We’re talking about a region where demography, culture, and political and economic systems are increasingly diverse, although many common interests and aspects remain; and with the new Arctic now firmly placed in a global context. Settlements range from small, predominantly indigenous communities, to large industrial cities, and all have a link to the surrounding environment, be it glaciers or vegetation or the ocean itself. A Thematic Guide to Documents on the Human Rights of Women is the first volume in a new series:The Raoul Wallenberg Institute Human Rights Guides. As the term `guide' implies, the series will facilitate orientation in international human rights standards by presenting the content of substantive standards in a systematic way.